Last Thursday was a rocky start for SSL9's group A, and group B on Saturday was only a little better. However, Group D (played before group C to aid a player's scheduling conflict) was almost beyond reproach. The camera angles were excellent, the booths, televisions, and main projector were arranged intelligently and professionally, and the studio was filled with fans. The only thing that could be said to be lacking were the commentator's microphones, which at moments of extreme excitement were often pushed beyond their limit, which I find pretty forgivable. Through those microphones, their energy still came through loud and clear. You remember the last OSL, and you probably saw it as a defining moment that might mark the end of your own experience with this game. Whether you ended up leaving or not, I urge you to give SSL9 a chance. As someone who has played and watched Brood War forever, there are little things I see about games. I can see it when a player's passion is coming through to the game, and I know how I play when I feel passionate about a match, the types of things that get more concentration than usual, the type of effort I exert. Brood War is as much a game about preparation and intelligence as it is about emotion and execution. Players play their best when they're motivated by an audience, when the consequence of each of their clicks is dramatic. This is the thing that only a few games after the last OSL have been able to bring out of our pros turned amateur. It's what Bisu meant in his interview when he said seeing the fans leave the studio made him unhappy and unmotivated during the first year of Proleague's switch to SC2. Even just as spectators, we can feel it, and that's what's so incredible about SSL9 right now. The energy is back, maybe even stronger than before, because we've proved that the passion for Brood War is even greater than we thought. It is really the phoenix rising out of the ashes. Let me lay it out. Two of the greatest professional Korean commentators ever are helping Sonic to bring back Brood War out of sheer passion for the game. Tonnes of ex-pros who have been surviving by streaming this game to loyal fans are stirring up old fires and bringing games that are reminiscent of their professional days. If you felt like you missed the boat on Brood War by coming too late to the eSports party and want to get a feel for the excitement of games happening right now, this is the one league to watch. A game that survives long after its developers have stopped advertising for it and have stopped supporting it is a game that's worth looking at. It's both the game most representative of the wild days of making ESPORTS a thing before any developers cared about it, and also the strongest and best loved. It's THE game that made 'esports' more than just prize money from tournaments or a dream of weird animes. Imagine why Chess or Go are popular, and the reason is not so dissimilar from why Brood War is. I think the cameras in his studio might be 16 by 9, but the game itself is very obviously 4:3. The game looks worse in 16 : 9 than people look in 4:3, so I encourage you to download the VODs from YouTube and force 4:3 aspect ratio in the video player of your choice. Sonic is a guy running his own company (Sinbal Farm, a shoe store), and it seems like a lot of these difficult technical details are hard for him to streamline, especially since he produces so much content. If you like to watch on a mobile device, VLC makes a free app for Android that has options for changing the aspect ratio on the fly. That's all. I don't like to write for TL anymore, but this is something I felt really deserves attention on a site that is becoming increasingly fragmented. Even though I think a lot of people are aware of SSL, they think 'well that's the Brood War section's thing, how nice for them ' or 'it's good to know they're still going, but it's done for me.' So I just wanted to take a moment, share a picture or two, and see if I can help you find something exciting. This is way beyond Sonic's previous SSLs. It might be the start of a new beginning, or it might be one of your last chances to experience the passion of Brood War. 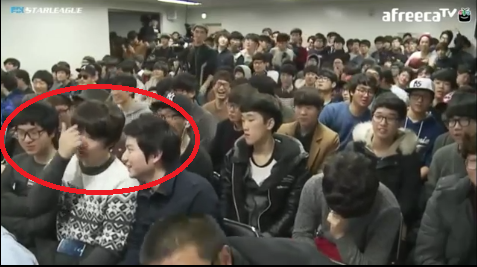 If only BW and SC2 could coexist, but too many elitists on both sides for that. Great read. Long Live Brood War! These 3 kiddies were repeatedly - throughout the series - slapping each other in the face. Really cool words man. I feel this chill I used to feel from watching BroodWar tournaments again, a chill I haven't felt since watching the last game between Jangbi and Fantasy. SSL9 is amazing by the fact it's the result of pure passion as you said, you can be sure BroodWar is going to be around for a while now after seeing this, and may it be forever ! 16 : 9 is awesome. Underaged version of drinking games?